NEW TAX ASSESSEMENT & NEW PRICE! 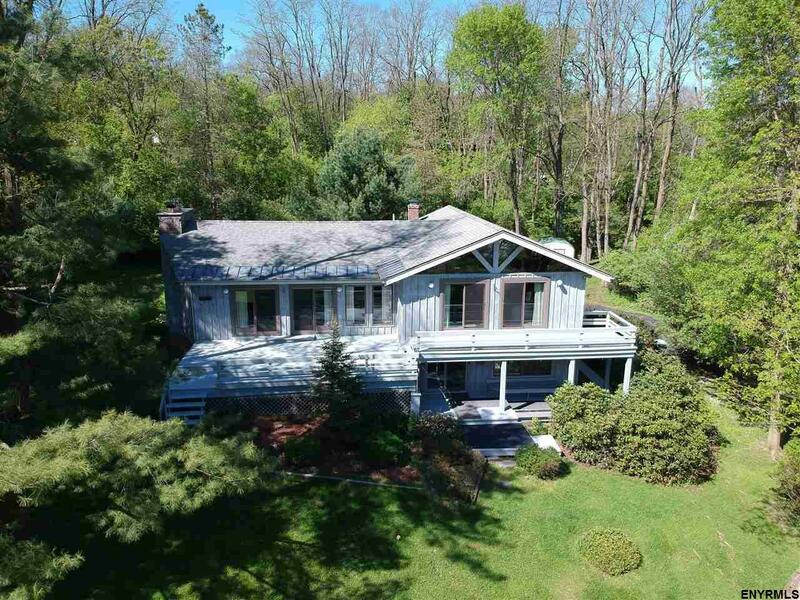 The peace & privacy of this setting is almost unbelievable as it is located just around the corner from shopping, hospital, golf course, & minutes to NYS Thruway. Multi level contemporary, plenty of room for entertaining & quiet time. Fresh paint inside & out. Kitchen has newer countertops & modern appliances. Enormous living room has sliding doors on both sides to deck & yard, and boasts a beautiful pool table. One of a kind!